TEMPLETON – Philip D. Gleason, 74, of Baldwinville, died peacefully Thursday, February 7, 2019 in Rose Monahan Hospice Home, Worcester, with his family at his side. Phil was born in Gardner on January 2, 1945, son of the late Winton and Barbara (Wilkinson) Gleason. 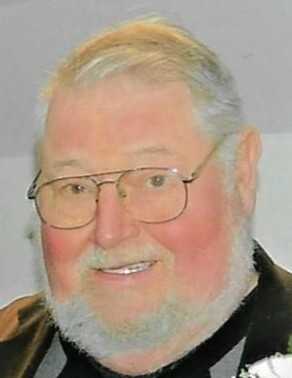 He grew up in Baldwinville and graduated from Narragansett Regional High School in 1963. Phil worked at L.S. Starrett Company in Athol before working at his family’s business, L.H. Sawin Co. in Gardner, where he worked until his retirement. Phil was a Master Mason and was a proud member of Artisan Lodge of Masons, Winchendon and Hope Lodge of Masons, Gardner. In both organizations, he was active in many fundraisers and volunteered at many events. Phil was also a member of Gardner Shrine Club and Melha Shrine, Springfield. Phil served on the Board of Directors of the former Baldwinville Cooperative Bank, later known as Colonial Cooperative Bank. He was also a member of Memorial Congregational Church in Baldwinville. Phil was predeceased by his wife of 49 years, Helene (Pineault) Gleason in 2013. He leaves two sons, Jonathan Gleason and his wife Tina of Orange and Douglas Gleason and his significant other Jennifer Mosher of Winchendon; a daughter, Nancy (Gleason) Waldron and her husband Edmond of Reed Plantation, ME; six grandchildren, Samantha Oliver, Jonathan Adam Gleason, Jessica Gleason, Nicole Hodgen and her husband Jeffrey, Ryan Gleason and his wife Amber and Ashley Waldron; five great grandchildren, Lily, Charlie, Alivia, Adrianna and Finnley and a brother, Jerry Gleason and his wife Jan of Chester, VT. He was predeceased by a brother, Thomas Gleason. Phil enjoyed his daily trips to area restaurants, his favorite being The Baldwinville Station, where he enjoyed many great meals and good company. Phil loved his cats and his most recent K9 companion, Diesel. Phil enjoyed caring for his lawn, cheering for the Red Sox and visits with his family. Calling hours will be held Tuesday, February 12, 2018 from 5 to 7 P.M. in Stone-Ladeau Funeral Home, 343 Central Street, Winchendon. 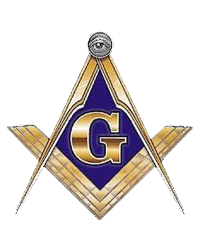 Members of Artisan Lodge will conduct Masonic Services at 6:30 P.M.
Funeral services will be held Wednesday, February 13, 2019 at 11 A.M. in the funeral home. Burial will follow in Greenlawn Cemetery, Baldwinville. Memorial donations may be made to the Angel Fund of either Artisan Lodge of Masons or Hope Lodge of Masons or to Shriners Hospital, 51 Blossom Street, Boston, MA 02114.